High performance, low maintenance, and long life. Technology that beats NiCad, lead-calcium and lead antimony in every category of performance, saving operators thousands of dollars annually. Thanks to our superior performance, Securaplane main ship batteries routinely displace other OEM installed batteries, even before they have reached end of life. Securaplane is the master distributor ad design certification authority for EnerSys Hawker brand batteries for commercial and business aviation. The Hawker technology was developed during the 1980s for military aviation applications which required robust batteries with high performance, low maintenance, and long life. The technology was further refined and perfected in the 1990s with an even more rugged design: 99.9% pure lead battery plates, ultra-thin lead plates (approx. 0.7mm thick versus 2 to 4mm in standard batteries, more plates per cell lowering internal impedance, increased plate area producing greater power density, and slim-line glass-fiber separators prevent plates from shorting. High reliability, low maintenance and long life. 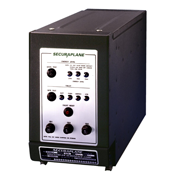 Securaplane manufactures and supports emergency battery products. Features include: in-built battery chargers, thermal control, and in-built battery capacity test. 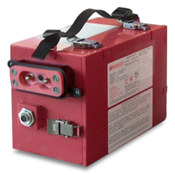 Over 12,000 emergency batteries in service on various aircraft platforms.